Rated number 1 in Luxury Compact Cars in 2019, buying a used Acura RDX means getting luxury for less of the price. 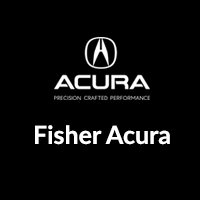 View our inventory of used Acura RDX models and then visit Fisher Acura, your trusted Denver area Acura dealer, to set up a test drive today. CARFAX 1-Owner, Excellent Condition, LOW MILES - 17,314! w/Technology/AcuraWatch Plus Pkg trim. EPA 27 MPG Hwy/19 MPG City! Nav System, Moonroof, Heated Leather Seats, All Wheel Drive, Aluminum Wheels. SEE MORE! SHOP WITH CONFIDENCE CARFAX 1-Owner KEY FEATURES INCLUDE Rear Spoiler, MP3 Player, Sunroof, Aluminum Wheels, Remote Trunk Release. Acura w/Technology/AcuraWatch Plus Pkg with Fathom Blue Pearl exterior and Graystone interior features a V6 Cylinder Engine with 279 HP at 6200 RPM*. Serviced here, Non-Smoker vehicle, Originally bought here, New Tires, Local Trade. EXPERTS ARE SAYING KBB.com explains Acura's RDX compact-crossover SUV for 2018 has a proven reputation for luxury, reliability and performance. The RDX's reasonable price undercuts many competitors, as does its excellent resale history.. Great Gas Mileage: 27 MPG Hwy. VISIT US TODAY Fisher Auto of Boulder serves the greater Denver area including Longmont, Broomfield, Lafayette, Louisville, Erie, Westminster, Thornton and Brighton. Stop in today or call 303-245-6406 to speak with a brand specialist. THE INFORMATION INCLUDED ON THIS WEBSITE DOES NOT CONSTITUTE AN OFFER TO SELL. THE INFORMATION MIGHT BE INCORRECT AND THE DEALERSHIP IS NOT LIABLE FOR ANY ERRORS. Accessories and color may vary. Excellent Condition, CARFAX 1-Owner, GREAT MILES 2,324! RDX trim. JUST REPRICED FROM $40,295, EPA 27 MPG Hwy/21 MPG City! Heated Seats, Moonroof, All Wheel Drive, Aluminum Wheels, Turbo Charged Engine. CLICK ME! EXCELLENT VALUE Reduced from $40,295. KEY FEATURES INCLUDE . Rear Spoiler, MP3 Player, Sunroof, Aluminum Wheels, Remote Trunk Release. Acura RDX with Fathom Blue Pearl exterior and Ebony interior features a 4 Cylinder Engine with 272 HP at 6500 RPM*. Serviced here, Non-Smoker vehicle, Originally bought here, Local Trade EXPERTS RAVE Edmunds.com explains No matter what speed, these brakes inspire confidence thanks to predictable engagement and good feel.. Great Gas Mileage: 27 MPG Hwy. WHY BUY FROM US Fisher Auto of Boulder serves the greater Denver area including Longmont, Broomfield, Lafayette, Louisville, Erie, Westminster, Thornton and Brighton. Stop in today or call 303-245-6406 to speak with a brand specialist. THE INFORMATION INCLUDED ON THIS WEBSITE DOES NOT CONSTITUTE AN OFFER TO SELL. THE INFORMATION MIGHT BE INCORRECT AND THE DEALERSHIP IS NOT LIABLE FOR ANY ERRORS. Accessories and color may vary. CARFAX 1-Owner, Excellent Condition, LOW MILES - 2,321! WAS $43,495, EPA 27 MPG Hwy/21 MPG City! w/Technology Pkg trim. Nav System, Moonroof, Heated Leather Seats, Aluminum Wheels, All Wheel Drive, Turbo Charged Engine. AND MORE! BUY WITH CONFIDENCE CARFAX 1-Owner EXCELLENT VALUE Reduced from $43,495. KEY FEATURES INCLUDE Rear Spoiler, MP3 Player, Sunroof, Aluminum Wheels, Remote Trunk Release. Acura w/Technology Pkg with Lunar Silver Metallic exterior and Espresso interior features a 4 Cylinder Engine with 272 HP at 6500 RPM*. Serviced here, Non-Smoker vehicle, Originally bought here, Local Trade. VEHICLE REVIEWS No matter what speed, these brakes inspire confidence thanks to predictable engagement and good feel. -Edmunds.com. Great Gas Mileage: 27 MPG Hwy. WHY BUY FROM US Fisher Auto of Boulder serves the greater Denver area including Longmont, Broomfield, Lafayette, Louisville, Erie, Westminster, Thornton and Brighton. Stop in today or call 303-245-6406 to speak with a brand specialist. THE INFORMATION INCLUDED ON THIS WEBSITE DOES NOT CONSTITUTE AN OFFER TO SELL. THE INFORMATION MIGHT BE INCORRECT AND THE DEALERSHIP IS NOT LIABLE FOR ANY ERRORS. Accessories and color may vary. CARFAX 1-Owner, Excellent Condition, ONLY 14,000 Miles! w/Technology Pkg trim. PRICE DROP FROM $41,710, FUEL EFFICIENT 27 MPG Hwy/19 MPG City! NAV, Sunroof, Heated Leather Seats, All Wheel Drive, Alloy Wheels. READ MORE! SHOP WITH CONFIDENCE CARFAX 1-Owner A GREAT TIME TO BUY Was $41,710. KEY FEATURES INCLUDE . Rear Spoiler, MP3 Player, Sunroof, Aluminum Wheels, Privacy Glass. Acura w/Technology Pkg with Lunar Silver Metallic exterior and Ebony interior features a V6 Cylinder Engine with 279 HP at 6200 RPM*. Serviced here, Non-Smoker vehicle, Originally bought here, Local Trade VEHICLE REVIEWS Edmunds.com explains Its steering feels light but precise, and overall handling is composed and secure when driving through turns. On the open highway, the RDX boasts low levels of road and wind noise, with an impressively comfortable ride.. Great Gas Mileage: 27 MPG Hwy. WHY BUY FROM US Fisher Auto of Boulder serves the greater Denver area including Longmont, Broomfield, Lafayette, Louisville, Erie, Westminster, Thornton and Brighton. Stop in today or call 303-245-6406 to speak with a brand specialist. THE INFORMATION INCLUDED ON THIS WEBSITE DOES NOT CONSTITUTE AN OFFER TO SELL. THE INFORMATION MIGHT BE INCORRECT AND THE DEALERSHIP IS NOT LIABLE FOR ANY ERRORS. Accessories and color may vary. Why Buy a Used Acura RDX From Fisher Acura? After you value your trade, visit Fisher Acura near Golden and Arvada to finance your next Acura RDX with us! While you’re here, check out our comparison between the Acura RDX and BMW X3.